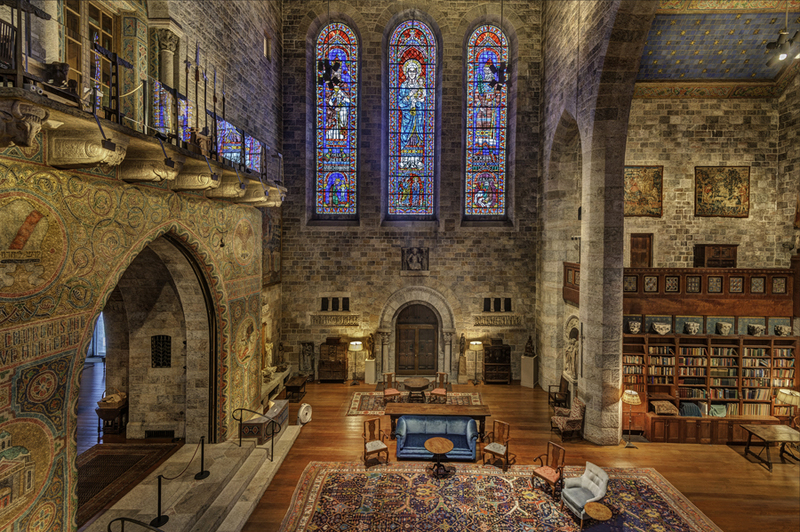 During the March 20 concert at Glencairn Museum, the stone walls of the Great Hall will resonate with the soaring sounds of a violin virtuoso. But they may also tingle just a little with familial pride, given the identity of the solo performer. She is Elizabeth Pitcairn, great-granddaughter of patriarch John Pitcairn. John Pitcairn, a Scottish-born American industrialist, founded the Pittsburg Plate Glass Company in 1883. His success as a businessman funded his widespread interests away from his professional life, namely religion, art, culture, architecture and philanthropy. 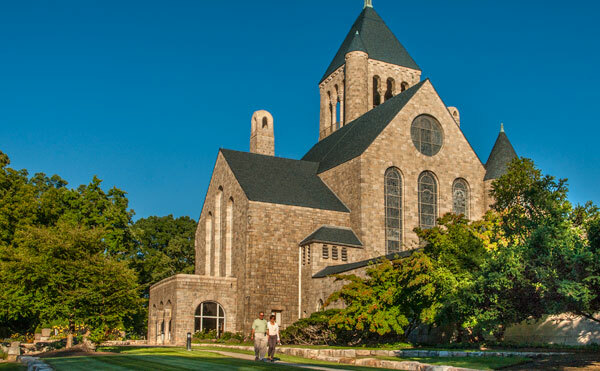 These causes were taken up by his son Raymond, Elizabeth&apos;s grand-uncle, who built a home (Glencairn) and a church (Bryn Athyn Cathedral) in Montgomery County. This paternal side of Elizabeth&apos;s heritage infused her with a deep altruistic streak. From her mother, Mary Eleanor Pitcairn, she inherited a strong and focused musical gene. "I started playing at age three," Elizabeth explained. 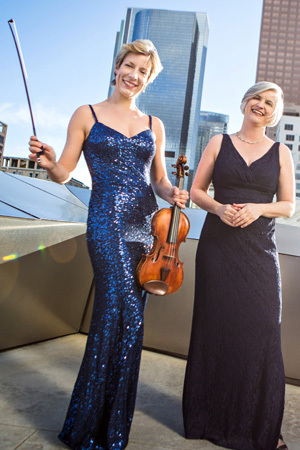 "My mother, a Julliard-trained cellist, started a chamber music series in our rural area. That was 40 years ago, and although she no longer plays, she still runs it. "So I was exposed to her playing chamber music from a very, very young age. Apparently, I saw her playing the violin, and I became glued to it. It spoke to me." Elizabeth not only watched her mother hone her music skills, she witnessed the evolution of her organizational abilities as well. "My mother&apos;s series is called the Lenape Chamber Ensemble. As a child, I would see her get the grants, get the funding, plan programs, prepare the food for post-concert receptions, welcome audiences with a speech, play on the programs and host the musicians. I grew up with all those musicians in the house constantly." Elizabeth studied privately and also received instruction as part of a weekend program for gifted young musicians through Temple University. She was selected to play with the Philadelphia Youth Orchestra, which put her in close proximity to artists from the Philadelphia Orchestra. She is now leveraging all that experience and those connections as President, CEO and Artistic Director of the Lucerne Music Center in New York, a camp for youngsters that builds not only musicianship but also life skills. "All these years later," she laughed, "I&apos;m like ‘Oh wow.&apos; I really am my mother&apos;s daughter. Because I&apos;ve been passionately working this music camp for the past 6-7 years. I remember my mother during her active years doing similar work, and am like, ‘Oh, I am her.&apos;"
She continued, "They talk about a professional musician needing 10,000 hours of practice to ‘make it.&apos; My mother was a professional musician. She put those hours in literally with me right there. So I&apos;ve inherited her work ethic and her drive for educational excellence. Whenever I play a note, her hours are in there." 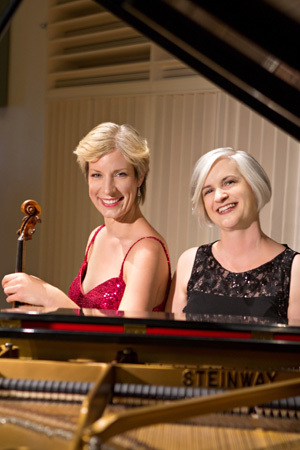 The program at Glencairn Museum includes feature sonatas of Mozart, Debussy and Mendelssohn. It will also spotlight Elizabeth&apos;s famous instrument. She is owner of an extremely rare violin whose distinct red varnish has earned it the title "The Red Stradivarius." The instrument was the subject of a 1998 Canadian film The Red Violin, which won an Oscar for original score. The violin came her way via a series of blind bids overseen by the famous Christie&apos;s auction house in London. "I was a senior in high school at the time," Elizabeth remembered. "I got permission from the head of the school to fly to London and miss a day of school to try the instrument." When the family&apos;s bid was finally accepted and the instrument was hers, she had been accepted to the freshman class at the University of Southern California. "USC wouldn&apos;t let me keep it on campus," she said, chuckling. "They didn&apos;t want it in my freshman dorm." Fortunately, her familial turf at Glencairn is more trusting. Elizabeth and her Stradivarius will be making sweet music together. "This instrument was built for performance in some of the largest concert halls in Europe. It was meant to travel the world. And that&apos;s what I&apos;m doing with it. It is so fun to have those dreams come true," she concluded. Availability: At the door, beginning at 2:30 p.m. Almost as peaceful as a beautiful concert is a restful night&apos;s sleep. Make the Pitcairn Concert at Glencairn Museum the centerpiece for a full weekend getaway. Stay in a nearby hotel and fill the remainder of Saturday and Sunday with our list of events in Montgomery County.